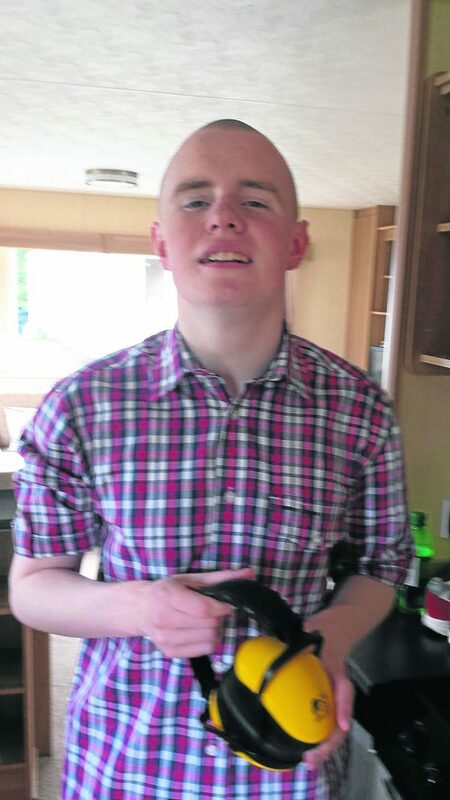 A body believed to be that of tragic Tayside teenager Ralph Smith has been found on the foreshore at Arbroath. The grim discovery was made by a member of the public walking at Victoria Park shortly before 9am on Sunday. The popular beauty spot has been sealed off to traffic as investigations into the find continue, with Police Scotland scenes of crime officers combing the rocky area where the body was washed up. It has now been confirmed that it is a man’s body and the family of missing teenager Ralph Smith were immediately informed of the discovery, a month on from when the 18-year-old fell from the nearby cliffs. Coastguard rescue teams and a helicopter crew, along with Arbroath’s RNLI lifeboats were involved in the search in the immediate aftermath of the tragedy. Since then, relatives of the teenager have also organised searches of the Tayside coastline, with volunteers combing sites in Angus and Fife. Volunteer pilots from the UK Civil Air Patrol Scotland (UKCAPS) have undertaken multiple searches from the area of the coastline. Ralphie’s distraught family has posted a heartfelt message on social media thanking all those who played a part in searching for him, and although they expect their worst fears to be realised in the coming days say that will allow them to lay him to rest and grieve for their loved one. The message read: “I just recently had the police at my door to confirm that they have found the body of a young man who they believe to be my son. “They won’t be able to confirm this until they do a DNA test. We will be suspending all searches until this is confirmed but we are pretty certain that it’s wee Ralphie. “I will just like to thank everyone who has been out searching continuously for our son. “We have had 80-year-old men, people with disabilities, planes in the sky, boats in the water along with my friends and locals of all the wee towns up and down each coast line out in a daily basis. Hopefully this is the final chapter and we can lay him to rest and as a family grieve. The disappearance of Ralph Smith signalled a day of tragedy for the family after two other relatives died at a family gathering within 24 hours. Julie McCash and David Sorrie died the day after his disappearance as they attended a family vigil for the teenager. Julie McCash, David Sorrie and Ralph Smith. 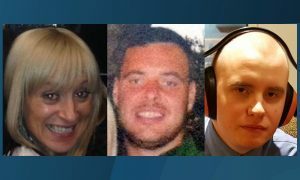 Their bodies were discovered in a Dundee street in the early hours of the morning on Sunday February 26. Robert Stratton, 42, of the city’s Drumlanrig Drive, was subsequently charged with their murder and the attempted murder of a third person. A Police Scotland statement said: “About twenty to nine on Sunday morning, March 26, Police Scotland received a report from the public that a body had been discovered on the beach at Victoria Park, Arbroath. “Officers are currently making enquiries and it is confirmed that the body of a male has been recovered.